…money can’t buy you love. The Irish stock market is reeling following a shock announcement from Don Pasquale, chair of PASQUAL€ BANK™ that he is disinheriting Ernesto, his rebellious heir apparent, due to alleged involvement with glamorous young widow Norina. Is PASQUAL€ BANK ™ on the verge of collapse? Will the scheming Doctor Malatesta manipulate the situation to his advantage? And what kind of merger is the foolish old banker planning? Immerse yourself in Donizetti’s farcical world and enjoy glorious arias and delightful melodies conducted by Roy Laughlin and performed by Opera Theatre Company’s chamber ensemble. 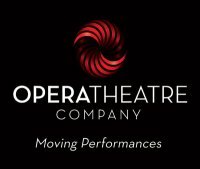 Brimming with lyricism and high comedy this vivacious opera has something for everyone, with themes that still resonate today. Directed by Annilese Miskimmon with design by Aedín Cosgrove (Pan Pan Theatre Company). Cast: Martin Higgins (The Marriage of Figaro, The Barber of Seville) as Don Pasqualé, Andrew Ashwin as Malatesta, Claudia Boyle (Bastien & Bastienne, YAA alumna) as Norina, Fredrik Akselberg as Ernesto and Young Associate Artist Nathan Morrison as The Fake Notary. Why not check them out on Facebook and you’ll get a chance to win tickets( just say if you want to go and watch their show in Dublin, Dun Laoghaire, Tallaght, Waterford,Castlebar,Sligo, Navan, Limerick, Tralee or Carlow.